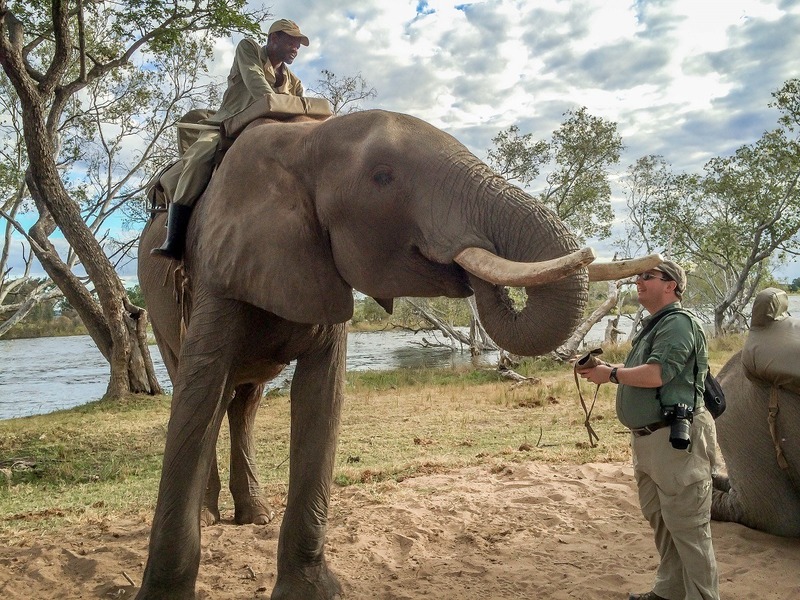 Our trip to South Africa and Zambia was shaping up to be the trip of a lifetime. 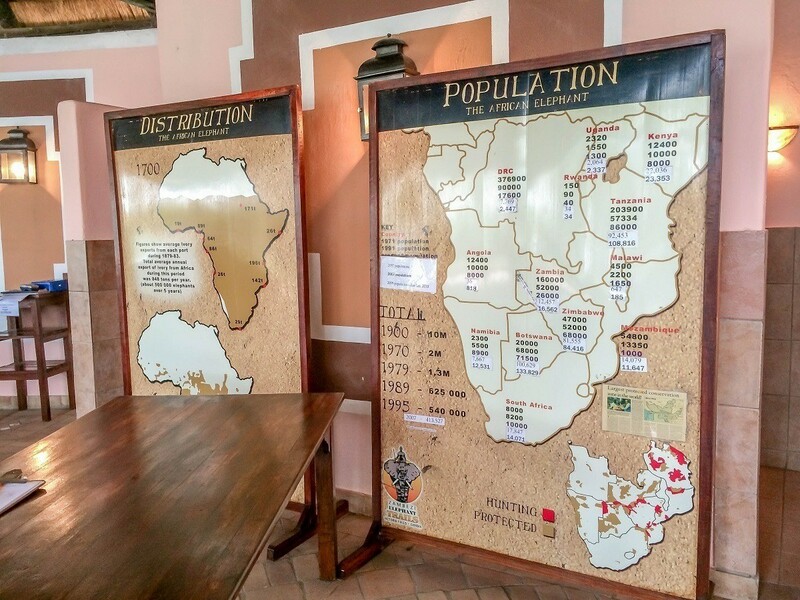 There would be four full days of safari in South Africa, a trip to Victoria Falls, and visits to famous wineries. 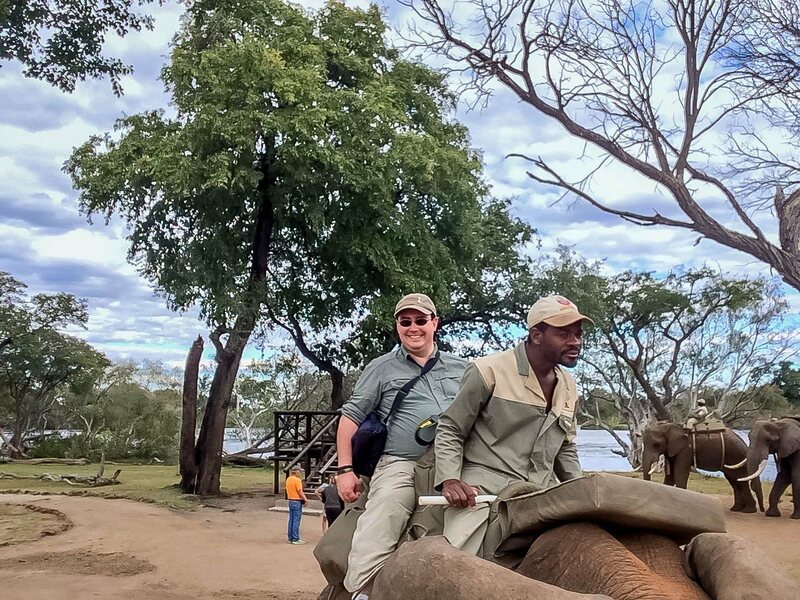 So when we got the email from the trip coordinators that riding elephants would be part of our itinerary in Zambia, we could hardly contain our excitement. Until this point, elephants were only creatures we had seen in zoos. Mesmerized by their size, power, and intelligence, we had never imagined that elephant rides in their natural habitat was even a possibility. But given this chance, we couldn’t wait for the fantastic experience. In the weeks leading up to our trip, we began to see a number of stories about elephant tourism in Southeast Asia, particularly Thailand. In almost all instances there, the animals are treated horribly – chained for long periods of time, abused into submission by their trainers, and not allowed to socialize with other elephants to the point that they are broken. They are taught to do unnatural things like paint and perform silly tricks for tourists. As the public outcry grew, Intrepid Travel decided to remove elephant rides from all their trips. Since we had traveled to Egypt with Intrepid several years ago and seen their animal rehabilitation center in Luxor, these developments got our attention. We had some homework to do. We breathed a sigh of relief. We thought we knew everything we needed to know. On a sunny Sunday afternoon, we pulled up to the lodge as the elephants were being led across the property. Our earlier excitement had been tempered by the somber findings of our research, but we were still looking forward to a fun ride. After some brief information about elephant conservation and an outline of what would happen on the ride, it was time to lumber aboard the massive creatures. Within a few minutes, we were underway. Twigs crunching underfoot, the elephants formed a single-file line as we started to make our way across the plain. Dry grass rustled. Thick spikes of the thorntree brushed against our legs. The old guys stopped to rip out some plants for a snack while the baby nipped at mom’s heels. It was everything we expected. Until the hook came out. A 2-foot-long white handle with both a hook and a point at its end, the bullhook was the guide’s way of keeping the elephant in line. The first time he stuck it in the soft area behind the elephant’s ear, I let out an audible gasp. The second time, I cringed, trying to wrap my mind around why this was happening. The elephant didn’t seem to be doing anything wrong, except maybe taking a few seconds too long to munch on the grass. By the third time the hook came out, I managed to half whimper-half beg, “do you have to do that so much?” I don’t know whether the guide couldn’t hear or understand me or just chose to ignore me, but the rest of the ride was a blur as the jabs continued. In retrospect, I could have spoken louder or somehow made more of a fuss. But I was on their turf, on top of an elephant in the middle of the Zambian bush. I was not in control. I wasn’t prepared for the brutality or my visceral reaction to it. I didn’t speak louder then, but I’m speaking now. The ethics of riding elephants is not always straightforward. On one hand, the herd we saw in Zambia would likely have died without these rescuers. The elephants had no visible scars. There were no visible chains. 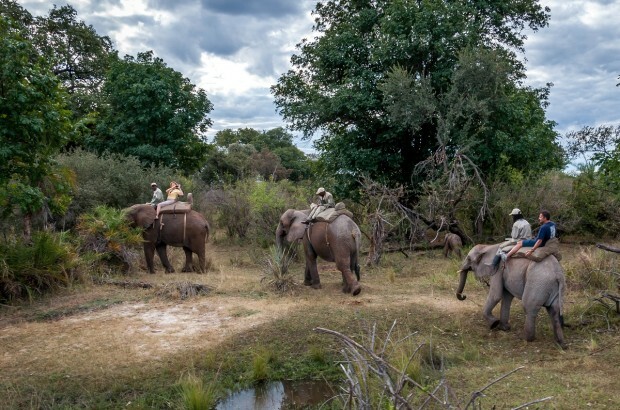 Despite the presence of a pen where the elephants were gathered before and after rides, there was plenty of evidence that they spent time roaming the property and lazing in the Zambezi River. And, to be fair, Lance’s guide did not use his bullhook other than to tap the elephant’s side. It’s impossible to know whether my guide’s actions were particularly aggressive or normal protocol. On the other hand, elephants are not meant to be domesticated animals. They are breathtaking, wild, and meant to be free in the bush where they live. Seeing them on safari in the open is an amazing experience. Getting them to the point where humans can ride them requires a fundamental change to their spirits, even if you believe it’s done without “controversial techniques,” which is dubious. The elephants were there for our enjoyment and the company’s bottom-line, and there’s something extremely wrong with that. 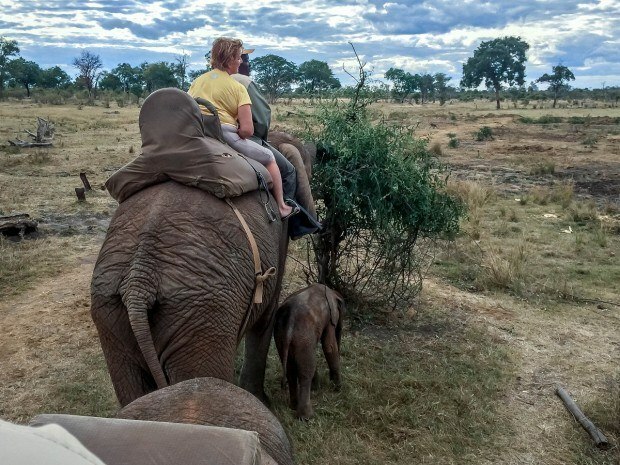 It took this experience to make me understand that even a “good” elephant riding operation (and I use this term loosely) is bad for the elephants in the long-run, and for visitors who have any sense of empathy for these noble animals. 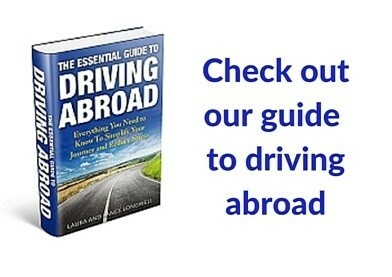 We were the guests of the tour provider. 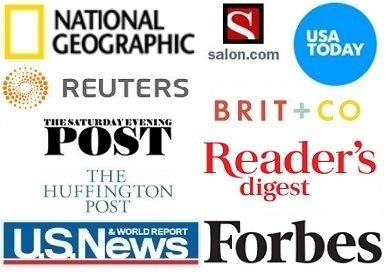 All opinions are our own, and we maintain editorial control, regardless of whether our experiences are positive or negative. 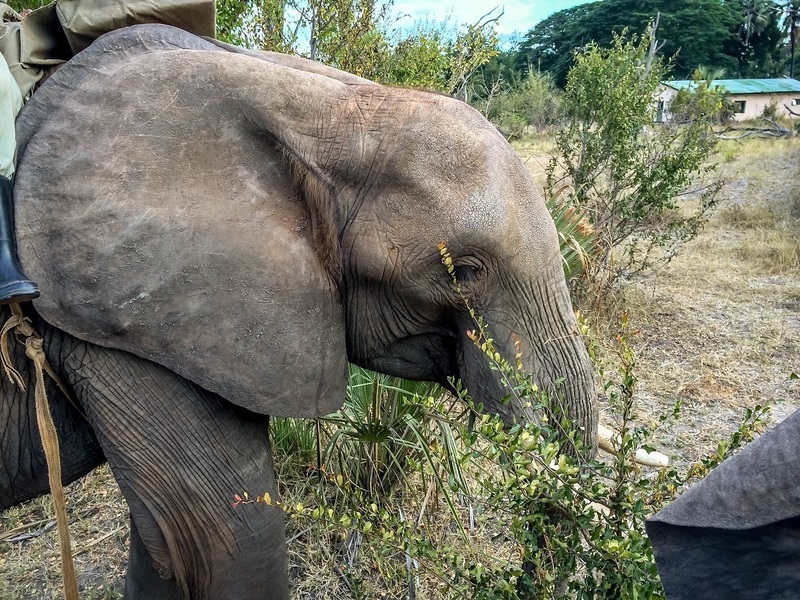 We are choosing not to specifically name the tour provider here because our objective is not to address the practices of one company but rather to contribute to the discussion around the ethics of elephant rides. For more in-depth information about how to tell whether an elephant sanctuary is reputable and ways humans can ethically interact with elephants, see this guide from d travels ’round. What do you think about Why I Rode an Elephant but Will Never Do It Again? Laura – I had a similiar experience in Zimbabwe and while I was looking forward to it, the elephants seemed sad with the routine of the tourists. Yes, I know that they were saved and relied on the tourists to be able to continue to roam free but I was torn with this cycle of servitude. I wanted to yell at them to break free and go to Botswana where there are a plethora of elephants. Definitely similar. A troubling experience overall that has made me think differently about all animal-related tourism. I hear you. I rode elephants in Thailand many years ago, at a time before the outcry of their treatment was well known. In retrospect I had fun, but would not do it again just in case. The elephants in out tour were not poked, but then who knows that would happen once we were gone. Every situation is different, but I think we need to be mindful any time there’s a human interaction with animals. We should ask ourselves whether the entertainment or enjoyment we get from it is harmful to the animal or if the animal had to be harmed for the interaction to occur in the first place. So sad. But an important conversation.